Buying an Oculus Rift or HTC Vive is expensive. Here's how to try VR for cheap. So you’re thinking about going out and spending the big money on a Vive or Rift, but you’re getting cold feet because you haven’t spent enough time testing the hardware to make sure it’s something you’ll actually enjoy using? That’s understandable, as either headset is a huge financial commitment. Don’t worry, because there are plenty of ways to experience virtual reality firsthand without breaking the bank. In fact, if you’re willing to look, you might even be able to get a virtual reality test drive without spending a too much (or anything at all)! 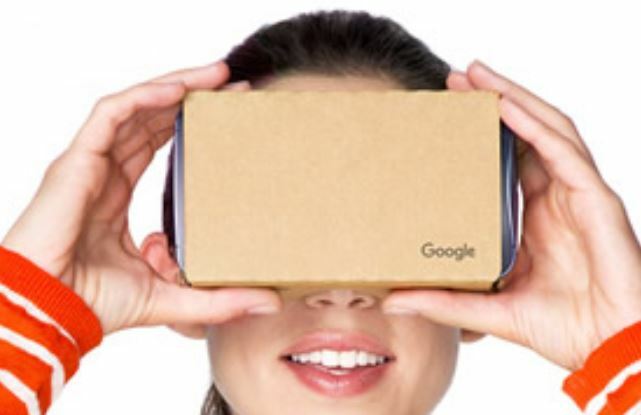 One of the easiest places to get a virtual reality demo is your local tech store. If you have a Best Buy available in your area, you might be able to get a demo of an Oculus, Vive, or PlayStation VR headset. You may want to consider giving your local shop (or other tech stores) a call to see if they have a demo available before you head out. While out in Melbourne, we were actually at a local mall, and there was a company there offering virtual reality experiences for a pretty reasonable price. 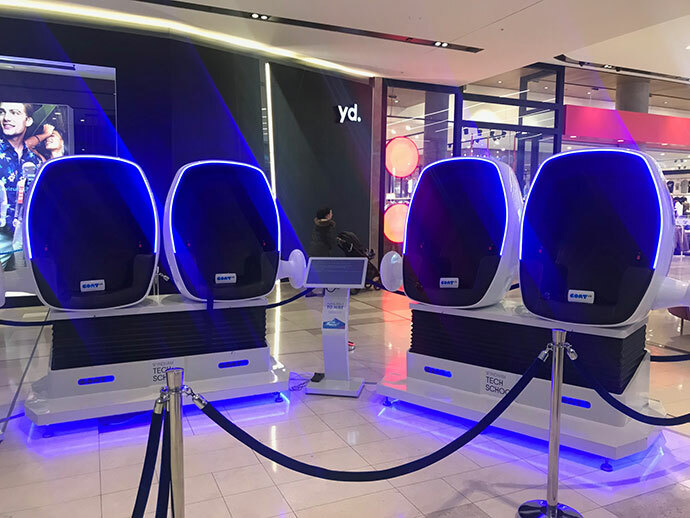 Obviously, your mileage may vary depending on the mall, but it’s definitely worth checking out, as you might be able to try some custom virtual reality demos for around $20. If you’re thinking about buying an Oculus Rift, the Microsoft Store is the perfect place to go, because most of them have demo stations where you can mess around with the headsets and see what they’re all about. I live in a relatively small city, and the Microsoft store in my mall offers the demo. You’ll want to check with the store closest to you, but it’s more likely than not that they’ll have a Rift ready for you to try. More and more arcades are integrating virtual reality into their locations, and the ones near you might have something for you to play as well. It won’t be free, as arcades are generally aiming to make money, but it’ll certainly be a lot cheaper than buying a headset for yourself. 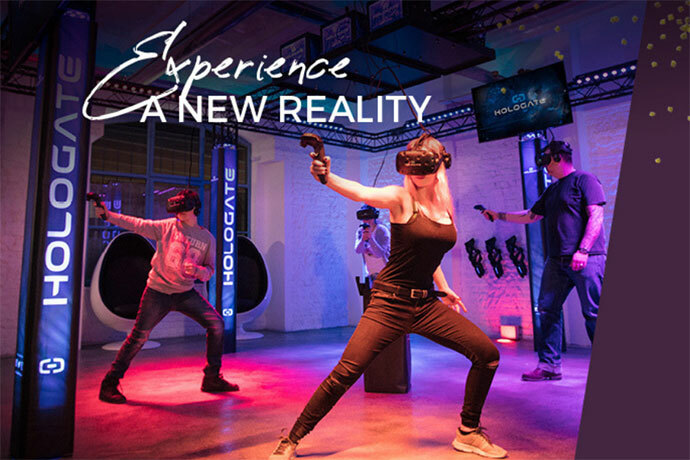 This is probably one of the most expensive ways to try out virtual reality, but you’re also going to get a custom experience where you can walk around and play something for an extended period of time without a line of other demo-seekers waiting behind you. We actually went to a place called Zero Latency in Melbourne recently, and it offered a custom-designed zombie game and big warehouse for us to walk around in. It was actually a better experience than what you’ll get at home, but it still gives you an idea of what good VR is like. If you want to actually try virtual reality in the comfort of your own home, you can use your smartphone to get it done. You can look into a Samsung Gear VR, Google Cardboard, Daydream, Merge VR, Xiaomi Mi VR Play, and plenty of others to choose from. Just make sure your phone is compatible with the headset you choose before you go out and spend the money. With all the other virtual reality options on the list, there’s one method that’s easy to forget: simply asking your friends if they have a headset you can try. If there’s one thing I’ve learned about people with VR headsets it’s that they love to convert non-VR users, so they’ll be happy to let you try out their headset. Before you run out to the store, mall, or arcade, send out a quick text to your friends and see if they want to share. Just Make Sure It’s Clean…! One thing to keep in mind with all of these methods is that lots of other people will be using the same headset as you. Don’t be afraid to spend a few extra seconds making the headset is clean before you put it on!